The times, they are a-changing for NFL thought leaders, players & fans. This is only the beginning. The NFL will no longer receive a free pass from politics polluting their vast money-making enterprise. The movement spawned by Colin Kaepernick’s 2016 protest of police violence against people of color is now the new normal. Politics are here in the National Football League. Politics will stay. The door is now kicked open. 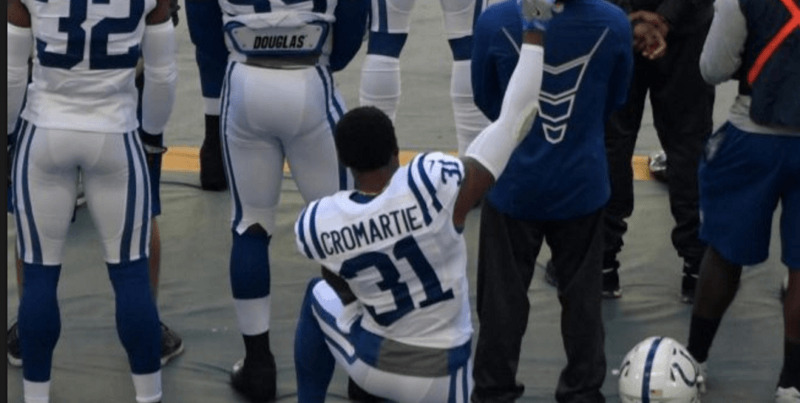 It took a lot of risk on the part of several NFL players to bring attention to the issue of the mistreatment of people of color by police — but the issue is now out in the open. 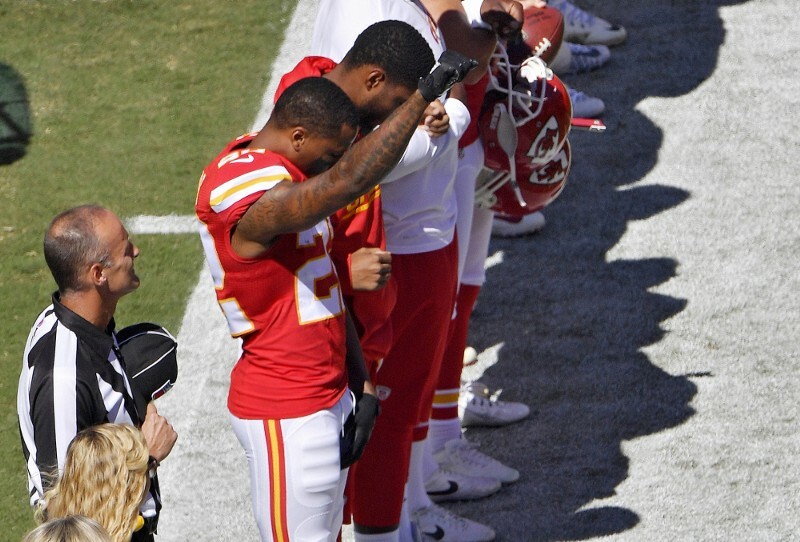 Often misconstrued as a slap in the face to the U.S. military or the basic principles of America, the current NFL player protests occurring during the singing of the national anthem are not decreasing in occurrence. Right or wrong, better get used to it, NFL fan. And there’s more. This is just one issue. Now that the standard has been set, count on it continuing for this issue — and beyond. The abuse of police force is not an issue easily solved. 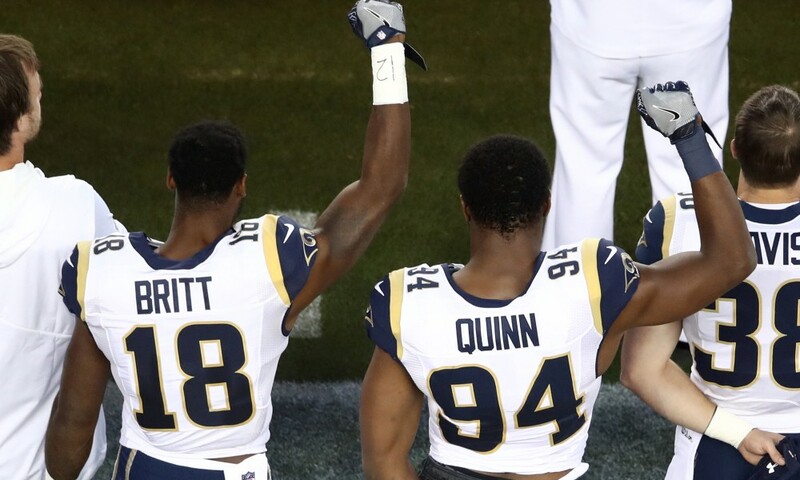 Also count on the gesture (and others sure to come) to spread and splinter for other injustices suffered by minority groups represented by NFL players. This is America, after all. There are plenty of injustices to go around. The NFL, for all its stodgy, conservative, rich-old-white-male power structure and mostly white fan base legacy underpinnings, is far from the leading edge of social change. This is the last thing the NFL’s powers-that-be want for their impossibly lucrative, money-printing popular culture monolith. New San Francisco 49ers’ general manager John Lynch stated that he believes that if Colin Kaepernick wants to play football, he should just say so — a condition that would not exist if it weren’t apparent that there are serious doubts about Kaepernick’s commitment to social justice. In other words: Tell people what they want to hear if you want to keep playing. Lynch went on to call the protests “divisive.” He has since expressed regret for labeling it thus. If you’re keeping score, that’s three well-known public utterances just on this one subject by Lynch (advising Kaepernick, calling protests divisive, then walking back that claim) by Lynch, who is only a few months into his job. Politics are not going away. They are part and parcel with the NFL henceforth. And even people in positions of power are going to be careful about what they say publicly about it. Colin Kaepernick may have sacrificed his career for a cause. He did so willingly. Let’s not forget either aspect. He remains unemployed while lesser talents get jobs in the NFL at the position he plays. 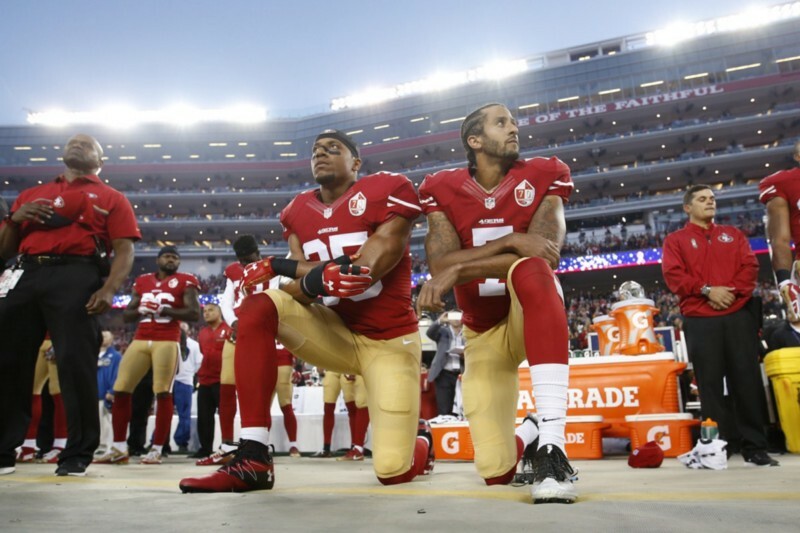 The Kaepernick situation begs the questions: What’s next? Who else can/will step up? Because Kaepernick’s career status is not only having an effect on just Kaepernick. 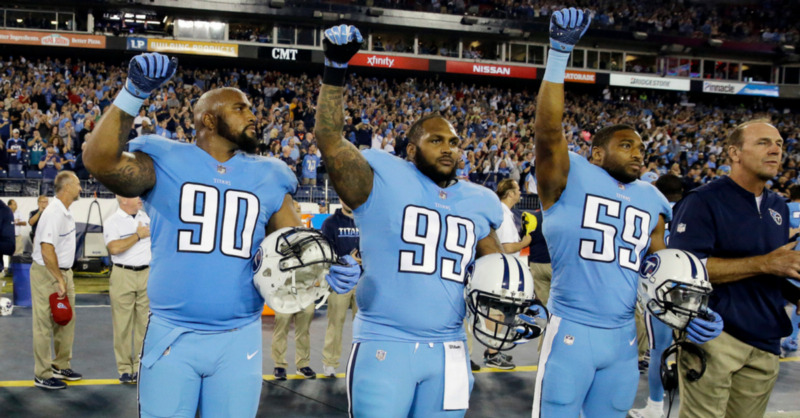 With comments coming from owners, general managers and coaches, socially conscious NFL players understand the ramifications. 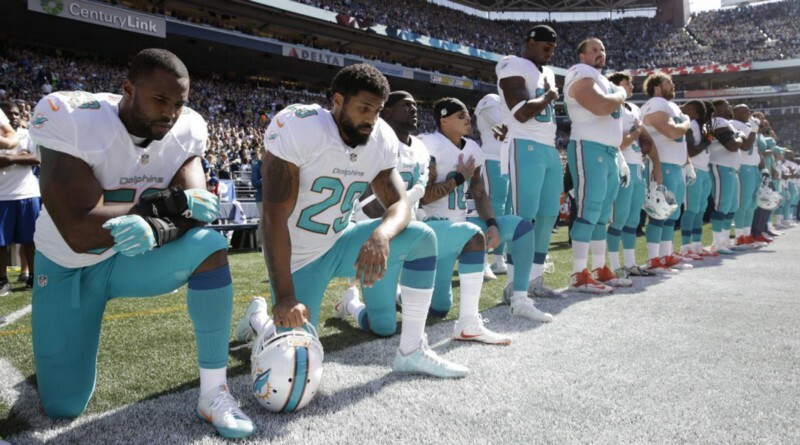 In today’s NFL, it is apparent that the cost for protesting anything varies by your contract status and value to your team (and the greater league). That place? It’s on the NFL field, between the lines. You can be outspoken like Bennett, Baldwin or Sherman if you have 1) the contract and 2) the talent to amaze. 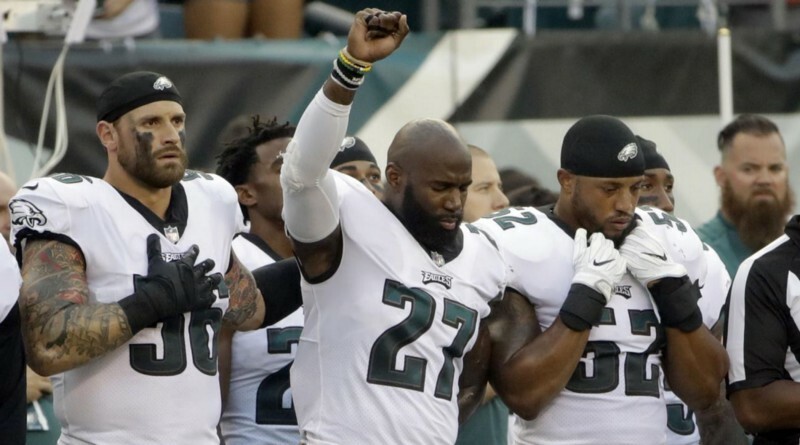 Ditto for the Philadelphia Eagles’ Malcolm Jenkins. As soon as you don’t? You’re Colin Kaepernick. Your beliefs and actions may be on a spectrum, but when it comes down to roster & public relations decisions, the toggle switch is either on or off. The Oakland Raiders may be about to test that theory. 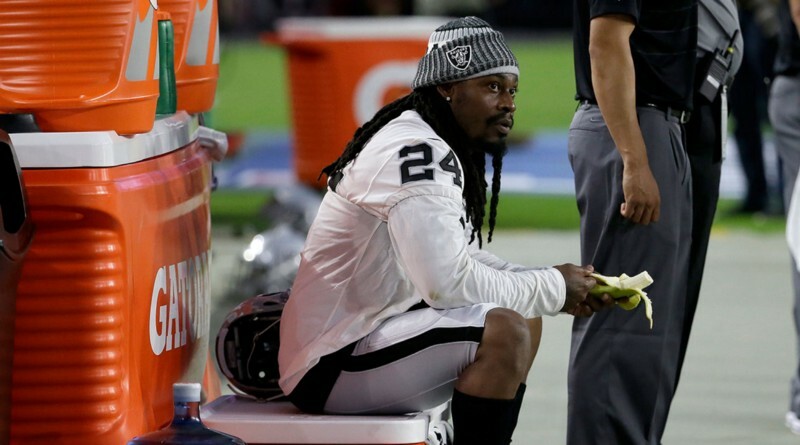 Famed individual Marshawn Lynch (back in the league after a one-year hiatus) is either protesting … or he isn’t. 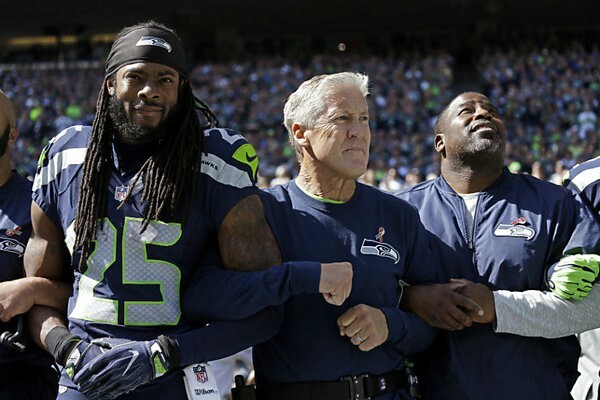 From Sept. 2016: “I mean if you’re really not racist, then you won’t see what he’s (Kaepernick) doing as a threat to America but just addressing a problem that we have,” said Lynch. So in 2016, Lynch was down with Kaep’s protest. In 2017, “I’m just bein’ me, like I’ve always been.” The difference? Lynch is back in the NFL. For now. And we can see that Del Rio is also in the Hue Jackson / Pete Carroll camp of being in favor of remaining employed. Lynch will soon find out if his looks-like-it-could-be-a-protest gesture has any impact on his professional prospects at cut-down day. His coach has already indicated where he stands. Lynch’s attempted comeback from a year off after a poor 2015 season are in no way aided by a political statement. 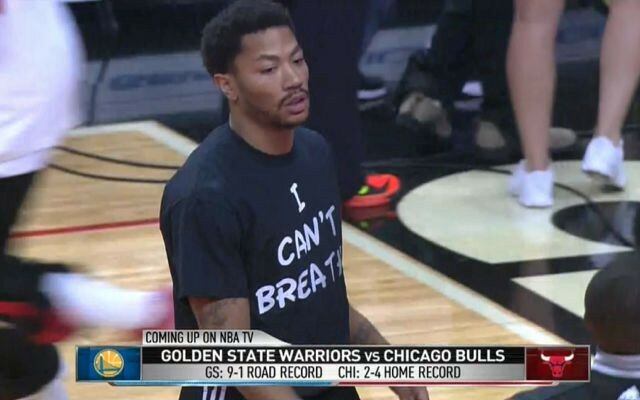 Can you, NFL follower, imagine NFL players taking to pre-game warm-ups wearing “I can’t breathe” T-shirts? You may need to adjust to getting used to that and more. The NFL’s national anthem protests may be bothersome to many, but the NBA is way ahead in terms of things to and forms of protest. Expect America’s most popular sport to catch up sooner rather than later. Estimates opine that the NFL’s current fan base is anywhere from 50 percent to 77 percent white. For now. An Experian Simmons study from 2007 showed that 83 percent were white. The NFL’s fan demographic is shifting toward a more diverse population (including gender and age diversity) and the NFL will be forced to shift along with it. To be clear: White people are not a problem. Intolerance for diversity of thought is a problem. If you’ve met people before, you know that intolerance is not limited to any one race, gender, social class, religion or age group. The problem now facing the NFL and its fans is more one of competing with their old selves. 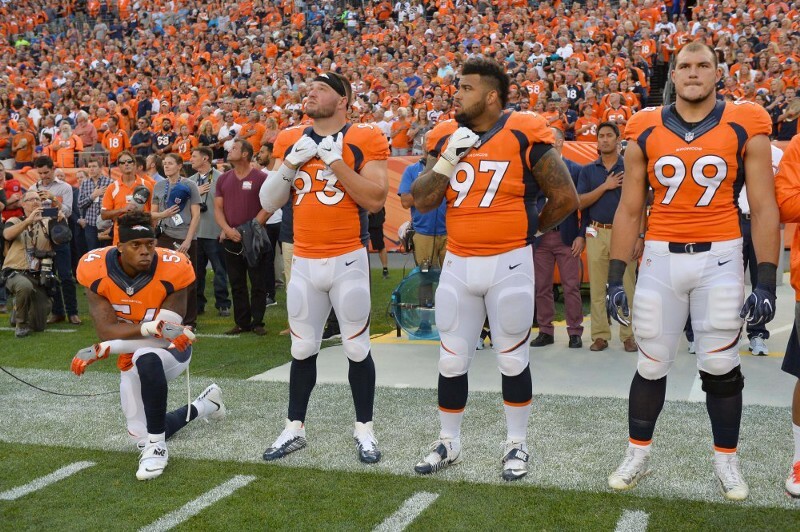 The NFL is in a change-or-perish moment. The old way of thinking still holds a lot of sway. The NFL clings to its top-down, hierarchical business and football management. Authority is king. It is difficult for alternative voices to be heard — certainly without career-altering ramifications. But that is the very nature of free speech: We each have the right to speak our minds and follow our truths. It does not mean we won’t be held accountable for those beliefs, good and bad, for reasons good and bad. The in-game and online shout-downs of NFL players using the national anthem to signify protest are legion. There is no shortage of outrage (thanks, internet!). But we may have passed the first-down marker. Fans are not only being encouraged to accept player protests, they’re demonstrating their own acceptance. The outraged are not the only voices being heard. 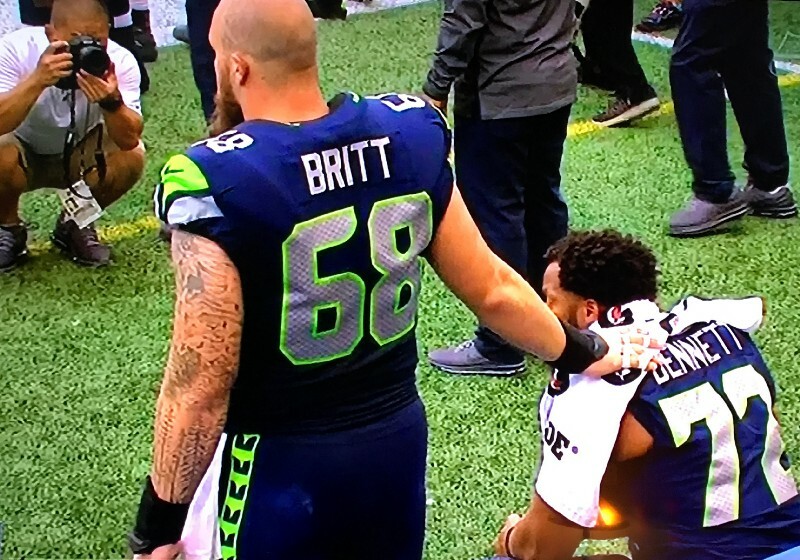 We’ve reached a new phase of wokeness with respect to NFL players and now NFL fans. How long until NFL owners join in? I would guess not long. Because, the man paid an impossibly large sum of money to lead and protect their interests is now outwardly supportive of NFL players’ rights to express their political views. Again, politics. Again, not going anywhere. Coming to an NFL game near you.